Song Hye Rim (So’ng Hye-rim) was Kim Jong Il’s (Kim Cho’ng-il) second wife (a common law) and mother of his eldest son, Kim Jong Nam (Kim Cho’ng-nam). Her older sister, Song Hye Rang (So’ng Hye-rang), and niece defected to the West in 1996. Song Hye Rim was daughter-in-law of two famous Koreans–the novelist and translator Yi Ki-yong and the late DPRK President Kim Il Sung (Kim Il-so’ng). So’ng was born in 1937 in Changnyeong, South Kyongsang Province, ROK, the youngest child of Song Yu-kyong and Kim Won-chu. Her parents joined the Communist Party in 1945, and the family first visited the DPRK in 1948. Song Hye Rim attended Seoul P’ungmun Girls’ Middle School until she left with her family for the north in 1951. She attended Pyongyang 3rd Girls’ Middle School where she was elected chair of its Korean Children’s Union (KCU) chapter in 1952. She attended acting school, where she received some notoriety for her performances. Song Hye Rim’s parents assented to a marriage proposal from Yi Ki-yong, a famous novelist and translator who held several positions (i.e. Chairman of the Korean Writers’ Union) in the Korean Workers’ Party [KWP]. She married Yi Pyo’ng with whom she had a daughter in 1956. The Yi Family kept an agreement made with Song’s parents in which she was allowed to attend the Theater and Film College (currently two separate schools). At the time she was the only married woman in the DPRK permitted to attend college. In her final year, she appeared as the lead in Village at the Demarcation Line. She became a leading actress at Korea Film Studios in the 1960s and would attend international film festivals. Although they first met when they were both students in the 1950s, Song Hye Rim’s work attracted the attention of Kim Jong Il, who became head of the Culture and Arts Section of the KWP Propaganda and Agitation Department in 1967. Kim Jong Il compelled Song Hye Rim’s divorce from Yi Pyo’ng and established a household with her in 1970. She gave birth to Kim Jong Nam in May 1971. Because of her family’s roots in the south and her status as a divorcee, Kim Jong Il concealed the relationship from his father. Song Hye Rim resided intermittently with her son. In 1974 she traveled outside the DPRK for medical treatment. In Kim Jong Nam’s early years he was raised primarily by his maternal grandmother and aunt. In 1976 KJI recruited Song’s sister, Song Hye Rang, to serve as a tutor to Kim Jong-nam. Song Hye Rang was a widow with two of her own children and they joined Kim Jong Nam at KJI’s Residence #16 behind his office in the central district of Pyongyang. Around 1979, the Song sisters moved to Geneva, Switzerland where Kim Jong Nam studied at the Geneva International School. They moved to Moscow, but later returned to Geneva. KJI ordered their move to Russia after a DPRK diplomat feared the Song sisters would defect and take Jong Nam with them. Jong Nam returned to Switzerland around 1984 after expressing discomfort with the bathroom facilities at his Russian school. 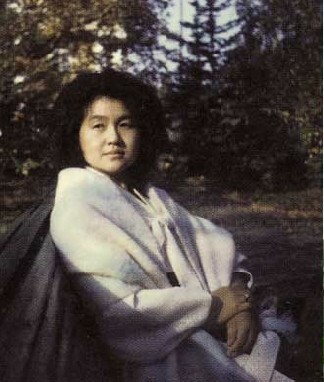 From the 1980s onward Song Hye Rim resided in Moscow, Switzerland and the DPRK. During her visits to the DPRK, Kim Jong Il occasionally dined with and visited Song. She also visited with her son, particularly at summer beach outings in Wo’nsan. In 1996, Song Hye Rim departed for Moscow with her sister. The sisters traveled to a Swiss apartment where they met Song Hye Rang’s daughter, Ri Nam Ok. Song Hye Rang and Ri Nam Ok disappeared and defected to a European country. Inaccurate reports appeared in ROK media claiming that Song Hye Rim defected with her sister. Following rumors of her defection, Song Hye Rim returned to the DPRK via Russia. However, her stay in Pyongyang was brief. 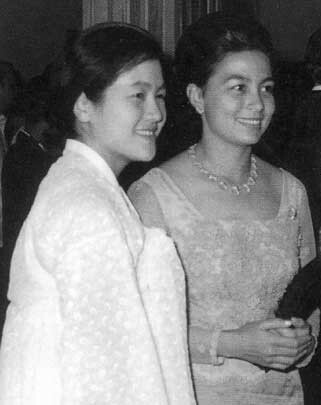 Despite the fact that Kim Jong Il still had affection for Song, his fourth (common law) wife Ko Yong Hui (Ko Yo’ng-hu’i) convinced KJI to banish Song from the country. Song was provided an annual allowance and effectively exiled, dividing her time between France and Russia. 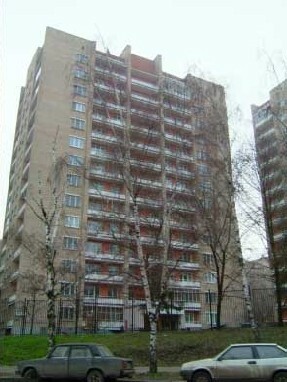 Her primary residence was a Moscow high-rise apartment and she received medical care from the central hospital. Kim Jong Nam traveled several times to Moscow as his mother’s health diminished and she passed away in 2002. She was buried in a Moscow cemetery. Song Hye Rim was a natural beauty and talented performer and actress. She had an introverted and sensitive personality, a good sense of humor and was very creative. Song had clinical depression and chronic respiratory problems which prevented her from taking the entrance exam to Kim Il Sung University. 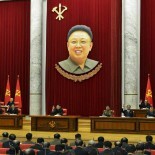 © 2011 North Korea Leadership Watch. All Rights Reserved.